I am not too bad with New Years Resolutions to be honest. I usually pick one thing that is achievable, but that I keep putting off. At the beginning of this year I decided to take a break from the blanket making and thought it would be nice to actually make something wearable for myself. I had a whole lot of cotton yarn from Bendigo Woollen Mills and plenty of possibilities in terms of patterns. 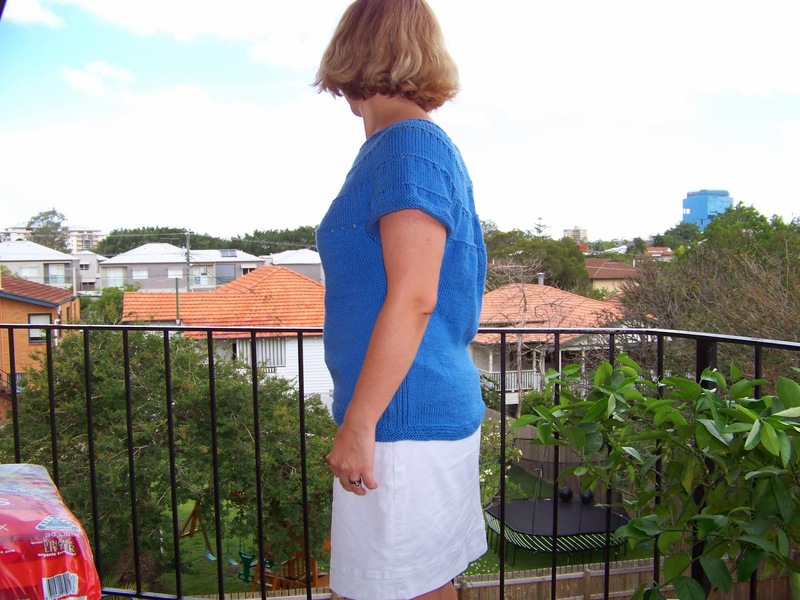 In the end I decided on a simplified version of the Feather and Fan Flare from the Knitter's Handy Book of Top-Down Sweaters. 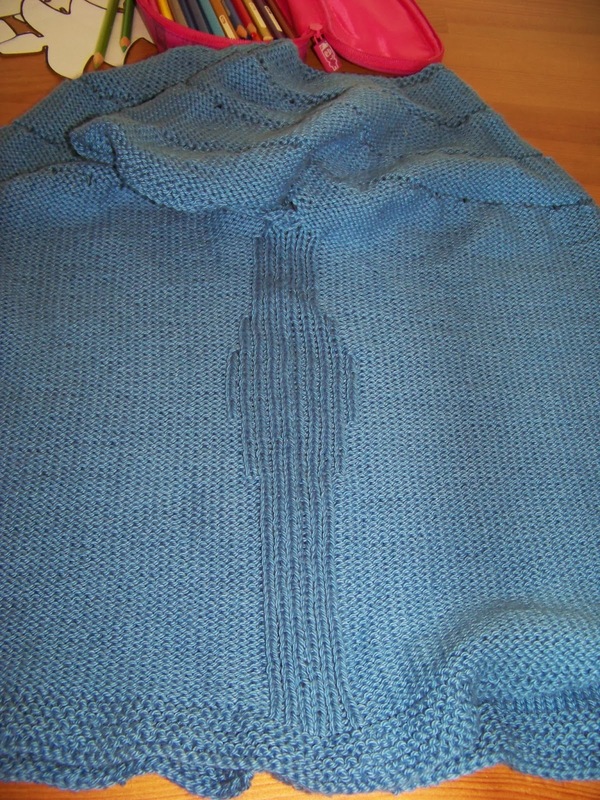 It's a beautiful pattern, but I simplified it by taking out the actual feather and fan bit and knit straight down. a, I don't wear my knitwear with 2 inches wearing ease, I wear it with 0 or negative ease. However, by that time I didn't want to unravel it all again, which in hindsight was a mistake as I then had considerably less enthusiasm for the project. 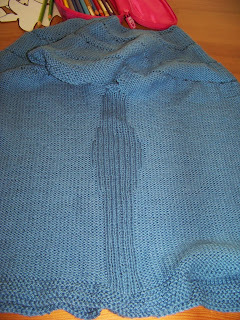 I omitted the 10 stitches each side that were supposed to be cast on under the arms and I inserted some ribbing on the side to make it less obvious that it is too large, but I still know.